(TibetanReview.net, Apr04, 2018) – A ‘Thank You India’ event did take place in New Delhi after all, after the main one inaugurating the yearlong programme, set for Mar 31, had to be shifted to Dharamshala after the government of India made it clear that holding it in the national capital, and that too with the participation of Indian political leaders, posed a serious danger to Sino-India relations. With a short notice announcement, the Central Tibetan Administration (CTA) joined New Delhi’s India International Centre (IIC) to organize a ‘Cultural festival of Tibet’ over Apr 2-4. The chief guest for the inaugural event was former chief minister Mrs Shiela Dikshit of Delhi, a suggestion, perhaps, that a directive issued by India’s top bureaucrat, Cabinet Secretary Mr PK Sinha on Feb 26, asking “senior leaders” and “government functionaries” both at the centre and in the states to avoid events hosted by the CTA to mark the milestone year, more or less stood set aside. Mrs Dikshit said the relationship between Tibet and India had developed into one of brotherhood over the past 60 years. “India and Tibet have a 60-years-old relationship which was started by Pandit Jawahar Lal Nehru ji. Now, this relationship has grown into brotherhood, we all are brothers and sisters and all of us feel the same. India is happy to have you and Thank you for what you are,” she was quoted as saying. “There have been difficult times that you have gone through but India has always endeavored to make you feel at home and to think that India is yours as much as it is anybody else’s… You are saying thank you India, India thanks you for being what you are,” she has further said. He said that in Tibet under Chinese rule the past 60 years have been marked by “suffering, pain and destruction of Tibet’s environment, natural resources, water and glaciers.” He alleged that 98 percent of monasteries and nunneries were destroyed and 99.9 percent monks and nuns disrobed during the period. And in India, he said, they had been years of resilience and revival of the Tibetan people. 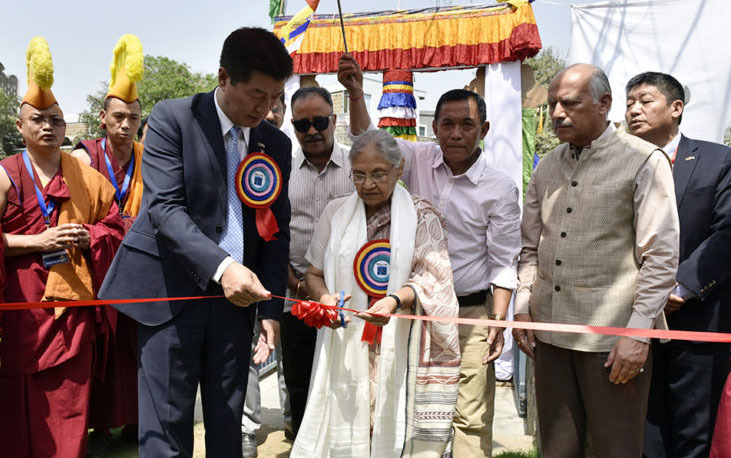 Apart from the heads of the two hosting organizations, namely CTA President Lobsang Sangay and IIC director Naresh Verma, others present on the occasion were reported to include Delhi’s former Governor Mr TN Chaturvedi and former advisor to India’s Home Minister Mr Mathur. 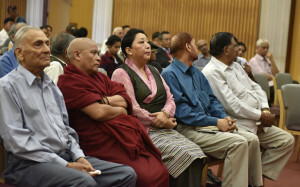 An ‘Expert Talk’ on ‘India and Tibet: Ancient Ties and current bond’ was addressed by a panel that included President Dr Lobsang Sangay, Professor Samdhong Rinpoche, Kapila Vatsyan, Mrs Madhuri Sondhi and Mrs Sheila Dixit. 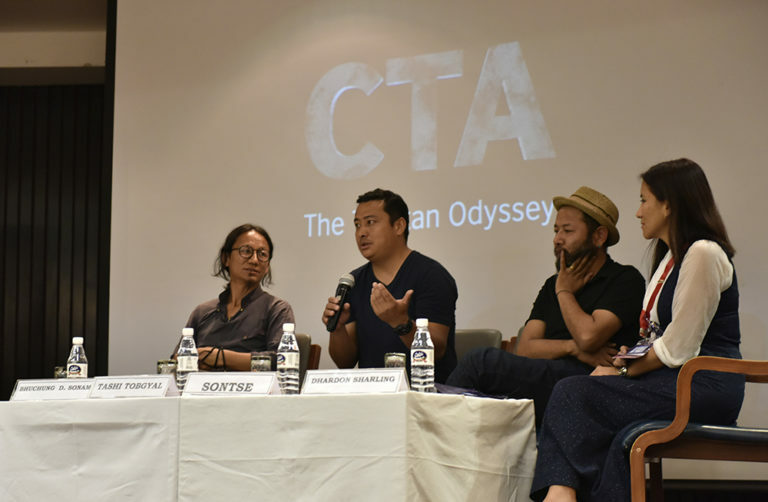 The yearlong series of events is being organized or supported by the CTA to express gratitude to India for help and hospitality to Tibetans as Tibet’s exiled spiritual leader, the Dalai Lama, began his 60th year of living on Indian soil.